This one is great for learning how to count and pay for things. I only wish it went up higher than 5 coins. You go through the catalog, pick out the merchandise to sell, set the price, pay for it, put it in the bag, and at the end get a receipt. I forgot to say all of these games are meant for at least two people. The cutest thing about this game is if you run out of coins, which we call dollars, the little coin purse just winks and makes more. Lol. Not a real life situation, but it is very adorable. Great job Toca Boca! This one is my favorite. I love tea parties in real life and even though I’m a proud parent of a little boy, he still enjoys playing the game with me and my niece. Ok, so I’m not going to lie… I bought it for me. Lol. It’s a great stress killer and I love games with pretty graphics. Another great one from the Toca Boca gang! We didn’t get this one, but it’s definitely on the list. The only thing is it’s for iPhone and not iPad and I get sick of pressing 2x for a blurry image all the time. Toca Boca makes great games for kids aaaand mommies, too! Not to mention, their advertisements are also very cool and well-made. 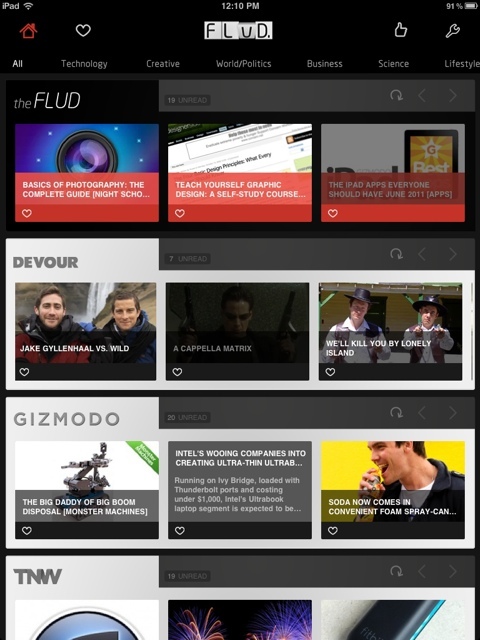 Flud is an awesome news app for the iPad that is more about Pop Culture than any other news feed app I’ve got. And I’ve got a lot of ’em. You can favorite posts (email and share), see full sites within the app, and view videos right within the articles. Kinda’ like WordPress, but much much better. It just LOOKS cool. I plan on producing many more posts for my blog with content from this app. Not to mention, I’m creating this post from my iPad 2, right now. A little random, but true. Stay tuned… more to come. This WordPress app isn’t bad, either.